You'll love this 3 bedroom, 2 full bath Raised Ranch located at the end of a cul-de-sac. Cozy up by the stone faced wood burning fireplace in the living room or enjoy entertaining in your eat-in-kitchen with granite counters and slider to rear deck for warm weather barbecues. The main living areas flow beautifully with gleaming hardwood floors. The hall full bath offers a granite top vanity and includes space for your washer/dryer. The master bedroom boasts wall to wall carpeting and an ensuite bathroom with stall shower and newer vanity. Two additional bedrooms can be found on the main level, both with wall to wall carpeting. The lower level is fully finished with a family room featuring laminate floors, walkout to the rear lower deck, and access to the 2 car garage. Central air and an excellent commuter location close to Route 8 make this home a top choice. This home also comes with a one year American Home Shield warranty. Sellers are motivated. This 3 bedroom, 2 bathroom Single Family home for sale is currently listed for $225,000. Located in Naugatuck, CT, 95 Alma Street features a lot size of 10,018 Sq. Ft. and was built in 1991. It has been on Coldwell Banker for 100 days. This listing is provided courtesy of COLDWELL BANKER RES BROKERAGE. Looking for more homes for sale near this one? 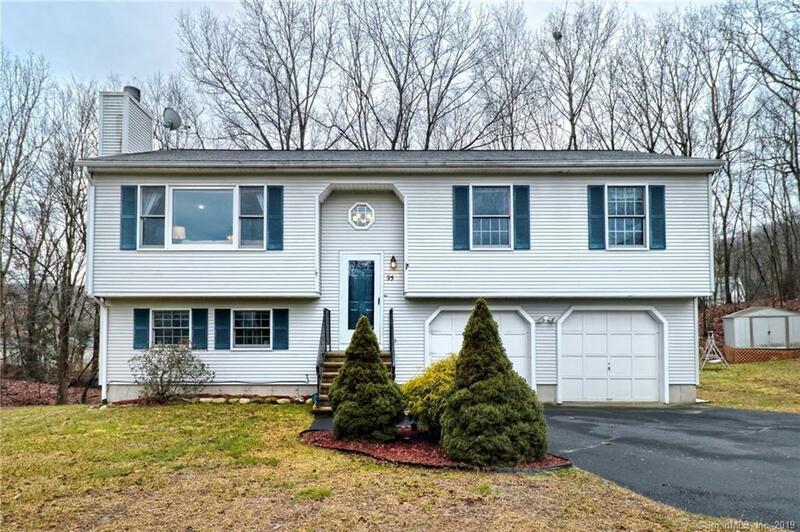 View all Naugatuck, CT homes and connect with local real estate agents.